If you're visiting Kenya, don't forget to go on one of the Nairobi tours that are organized. Nairobi has more to offer than many people think. Most visitors only use Nairobi as a hub for a safari experience in the national parks, or a stay in one of the beach resorts along the coast. But I think that’s selling Nairobi short. It’s a huge cosmopolitan place with a lively cultural scene and lots of interesting people to meet, and it’s the only city in the world where you can be in the middle of a full safari park just outside the city centre. If you have a day (or more) to spend in Nairobi, here are some options for Nairobi tours that will show you the special sides of the city. Most Nairobi tours either take half a day or a full day, and leave from your hotel. Most tours are in small shuttle buses, but some are walking tours on foot. Many tours consist of one of the following packages, although you’ll also encounter other combinations. * Nairobi National Park (around US$55). See below. * National Museum, Railway Museum, the Parliamant and the city market (around US$35). These are all located around the central business district so this is often a walking tour. The National Museum shows Kenya’s tribal past, as well as it’s pre-historical history – scientists think that the first humans ever originated from the Rift Valley in West Kenya. The Railway Museum shows Nairobi’s historical start as a railway company headquarters in 1899. On the city market, local craft work is sold. * The Karen Blixen Museum and Langata Giraffe Sanctuary (US$45). 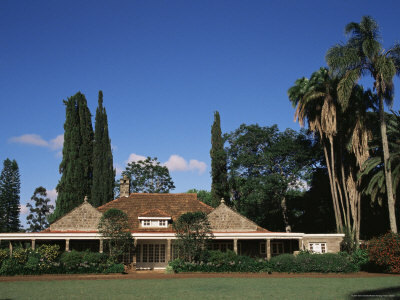 The first is the former house of Karen Blixen, the Danish author who described her settler life of 1914-1937 in “Out of Africa”. The house museum and the surrounded beautiful territory show early settler life. 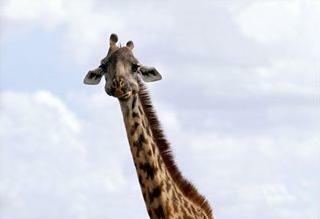 In Langata, it’s possible to feed the Rothschild giraffes there from a visitors platform. These giraffes are only found in East Africa. * The Bomas of Kenya (US$40). While these traditional villages were specifically built for the tourists, they nevertheless give a good impression of what traditional tribal life is or was like. Dances and other performances are organized every day in their big theatre. * Some tour operators, such as People to People Tourism, also include a visit to jua kali workshops in their tour programs. It’s quite amazing to see the beautiful products that rank-and-file Kenyan craftsmen are making as you watch. Many tours will take you to one of the better restaurants in the city. Carnivore Restaurant is one of the most popular among tourists, because of it’s spectacular meat grilling on half-open fires. Regardless of where you stop to eat, don't assume that there will always be Kenyan cuisine. Many other foods are available at Nairobi restaurants, including Italian, Indian and Japanese. If seeing the city itself isn't your cup of tea, then joining a tour to Nairobi National Park may be something for you. It’s a full wildlife resort right outside the city, and easily accessible. A day trip will cost around US$55. This includes transport, a guide and the admission fee. A tour of the park will likely take up most of your day, and be worth every moment. There are animals and birds of every size, just as you would expect in an African safari. Besides the park, the other wildlife spots for tours could include the Daphne Sheldrick Elephant Orphanage and Giraffe Manor. The snake park is another great tour stop, if you're not too squeamish. Often, the companies organizing day tours in Nairobi, are the same who offer safari tours and game drives in the national parks. Although less can go wrong in Nairobi, it’s still good to ask around, as they are not always good. Here’s my page about good safari tour operators. Leaving the city limits can provide you with a few more tour opportunities. Seeing the waterfalls at Thika, or a taking a mountainous hike at Ol Donya Sabuk National Park can both make for fun day-trips outside of Nairobi. Tours are available to suit just about anyone's interests.